A California appeals court has reinstated a $6.5 million verdict against Takeda Pharmaceutical Company that was nullified by the trial judge over two years ago in the first Actos bladder cancer lawsuit to go to trial. A three-justice panel in California’s Second District Court of Appeal ruled today that Los Angeles County Superior Court Judge Kenneth Freeman erred in striking the testimony of key plaintiffs’ expert Dr. Norm Smith and overturning the jury’s verdict. In the two-month trial, which began in February 2013, Dr. Smith had testified that Actos (pioglitazone) was a substantial factor in causing plaintiff Jack Cooper’s bladder cancer. After deliberating for over a week the jury agreed, finding also that Takeda had negligently failed to warn Cooper’s doctor of the bladder cancer risk associated with its drug, and that this failure to warn led to the harm Mr. Cooper suffered. Takeda was ordered to pay $5 million to Mr. Cooper and $1.5 million to his wife, Nancy, for loss of consortium. In addition to her verdict, she will receive interest and costs. The first Actos lawsuit had resulted in a verdict for the plaintiff. Five days later, however, Judge Freeman overturned the verdict, ruling that Dr. Smith’s testimony linking the diabetes drug to Mr. Cooper’s bladder cancer was “inadmissible under prevailing California law.” Without that testimony, Freeman concluded, there was insufficient evidence linking Actos to Mr. Cooper’s illness. He therefore granted the defendant’s motion for a “judgment notwithstanding the verdict” (JNOV) – a judgment favoring Takeda in spite of the jury verdict. The judge also granted Takeda’s motion for a new trial, based on the insufficient evidence and his belief that a multiple causation instruction (see discussion below) had influenced the jury’s verdict. Today’s appellate decision reverses Freeman’s ruling. The lower court has been ordered to enter judgment in favor of plaintiff Nancy Cooper (Mr. Cooper died in July 2014.) in accordance with the original jury verdict. The plaintiffs will also recover their costs on appeal. The appellate panel concluded that Freeman had misinterpreted and misapplied California case law regarding the “gatekeeping function” of judges—their authority to exclude expert testimony when it is simply speculative—and had improperly substituted the court’s opinion of the scientific research record for Dr. Smith’s. This decision is the latest in a series of losses for Takeda, including a $2 million verdict against the company last October, a $2.3 million judgment in February and a recent agreement to settle thousands of Actos lawsuits for $2.37 million. April 2014: Takeda & Eli Lilly & Co. ordered to pay $1.475 million in compensatory damages and $9 billion in punitive damages (later reduced to $36.8 million) in the first federal Actos bladder cancer lawsuit. June 2014 - Federal judge Rebecca Dougherty rules that Takeda acted in “bad faith” in destroying evidence related to 3,500 Actos cases consolidated in her Louisiana courtroom. October 2014 – A Philadelphia lawsuit ends with a verdict ordering the drug company to pay more than $2 million to a woman who claimed Actos caused her bladder cancer. November 2014 - Jurors in Martinsburg, West Virginia order the Japanese drug maker to pay $155,000 for systematically destroying files related to the development and marketing ofpioglitazone. February 2015 - In a second Philadelphia lawsuit, a jury awards $2.3 million to a former teacher who had filed an Actos bladder cancer lawsuit against Takeda. 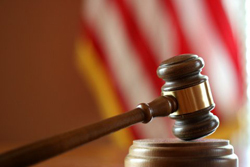 April 2015 – Takeda agrees to settle thousands of Actos lawsuits for $2.37 billion. The substitution of the court’s opinion on the scientific merit of 15 Actos studies for the experts. The appeals panel found that Freeman, in his insistence on ruling out all possible causes, had “misapprehended” a principal known as the “substantial factor test.” Citing case law, Associate Justice Richard D. Aldrich, writing for the panel (Presiding Judge Lee Smalley Edmon and Associate Justice Patti S. Kitching concurred), explained that under this test, the plaintiff must establish a “reasonably probable causal connection between an act and a present injury,” but “it is not necessary for a plaintiff to establish the negligence of the defendant as the proximate cause of injury with absolute certainty so as to exclude every other possible cause of a plaintiff’s illness” [emphasis in original]. Dr. Smith based his opinion on his review of 15 epidemiological studies which indicated that Actos is associated with a significantly increased bladder cancer risk. The association is particularly strong among long-term users of Actos and those exposed to higher cumulative doses—a fact that was particularly important in this lawsuit. Mr. Cooper took Actos for over 5 years and was exposed to a cumulative dose of about 55,000 milligrams. A meta-analysis (an analysis of the results of several different studies) conducted by Takeda found that taking pioglitazone for more than 2 years, or being exposed to a cumulative dose greater than 28,000 milligrams, increased the risk of developing bladder cancer by about four and a half times. Due to his lengthy exposure history, Mr. Cooper’s risk, in Dr. Smith’s view, was likely even higher and, according to the findings of one study, it could have been nearly 7 times the risk faced by someone not exposed to Actos. Nevertheless, Judge Freeman attacked the scientific validity of the Actos studies and suggested that they did not provide a reasonable basis for Dr. Smith’s opinion. When he granted Takeda’s motion for a judgment not withstanding the verdict, Judge Freeman also granted their motion for a new trial. He did so partly because he felt that a multiple causation instruction to the jurors had unfairly influenced their verdict. Such an instruction advises the jury that a defendant does not escape a negligence claim simply because another factor contributed substantially to the plaintiff's injury or harm. That instruction, Freeman decided, was in error, since in his view neither side had produced evidence of other possible causes of the plaintiff’s bladder cancer. Again, the appellate justices disagreed, pointing to clear testimony offered by Dr. Smith that smoking could have contributed to the plaintiff’s illness. The judgment granting a new trial and has now also been reversed. The appellate ruling reinstating the 2013 verdict is expected to have broad ramifications for future litigation involving expert witnesses and may provide a more equitable playing field for plaintiffs who have been harmed by pharmaceutical drugs. Looming ahead is Takeda’s offer to settle thousands of Actos cases for $2.37 billion and the question of how many individuals who have filed an Actos lawsuit will agree to join the settlement. There are 3,500 cases consolidated before U.S. District Judge Rebecca Doherty in Louisiana and another 4,500 in state courts.